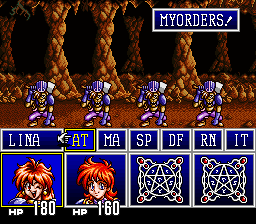 Slayers is a role playing game for the Super Nintendo. Based on an anime/manga with the same title. This was based on Robert Boyd’s work. Like his patch, this is free for anyone to use with their own translation. The zip also comes with a table file, if you need it. Probably. 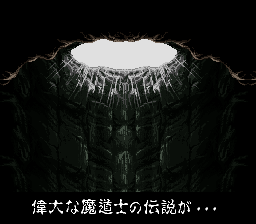 All the dialogue through the first cave and most of the first town is done. 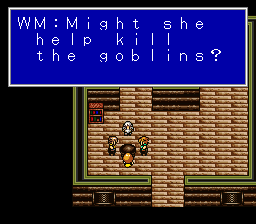 Which isn’t much. 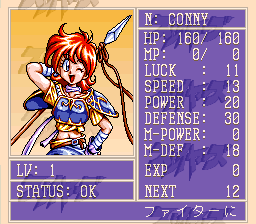 Although, all the battle menus are done, as well as a lot/more items, spells, attacks, monsters, etc. than Mr. Boyd’s patch. 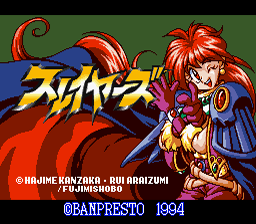 This translation is very dead, now that filler’s translating for RPGONE’s Slayers project.